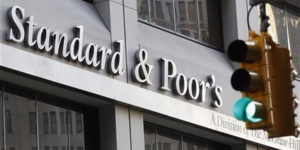 International credit rating agency Standard & Poor’s raised on Friday Egypt’s outlook from ‘stable’ to ‘positive’ and said the country is raising its foreign reserves and strengthening economic growth. S&P said in a statement that the revision reflects a “potential upgrade over next year” on the condition that Egypt continues to implement its IMF-sponsored economic reform program. Egypt’s sovereign credit rating was maintained at B-, “reflecting wide fiscal and external deficits, high public debt, and low income levels,” the statement went on to say. Last time S&P upgraded Egypt’s rating was in May 2015. The credit agency expects the political situation in the country to remain stable under the leadership of President Abdel Fattah al-Sisi, adding that it does not believe any major policy changes ahead of the 2018 presidential elections. Egypt’s government welcomed S&P’s upgrade, with Finance Minister Amr El-Garhy saying in an official statement on Saturday that it will help the country’s economy to recover by attracting more foreign investments. “[The upgrade] will contribute in attracting more foreign investment to the country, and reduce the cost of financing to both the state and institutions, as well as the private sector,” the statement read. Egypt has embarked upon a large-scale economic reform program sponsored by a $12bn loan from the International Monetary Fund. Economic growth increased in the last quarter of 2016/2017 fiscal year to 4.8 percent, while foreign reserves peaked in October, reacing $36.702bn, surpassing pre-2011 levels.